Whether you have a house or a hotel, and you need double glazed windows, a complete conservatory, or any kind of home improvement service, we can provide you what you want. With more than .35 years in the trade, we provide expert Services for you at affordable prices. See Our Satisfied Customer's Gallery for examples of our work. Kevin Riddoch Glazing and Home Improvements Insurance Backed Guarantees are provided by QANW, a member of the Kinnell Holding Group of companies who are authorised and regulated by . 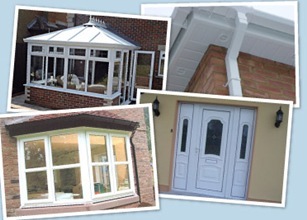 Conservatory Building, reglazing, and reparation work. Use the Menu on the left for more information relevant to the work you need done and to Download Brochures. At Riddoch Glazing & Home improvement we value our customers highly and we want you to be satisfied and happy with all the work we do for you as repeat business is the majority of our work. We are local Highland tradesmen whose double glazing windows and doors work is known in Inverness Aviemore, Kingussie, Newtonmore, and we travel throughout Highland to meet our customers requirements. Kevin Riddoch Glazing is known for its excellent work and for giving customers piece of mind and great customer care.